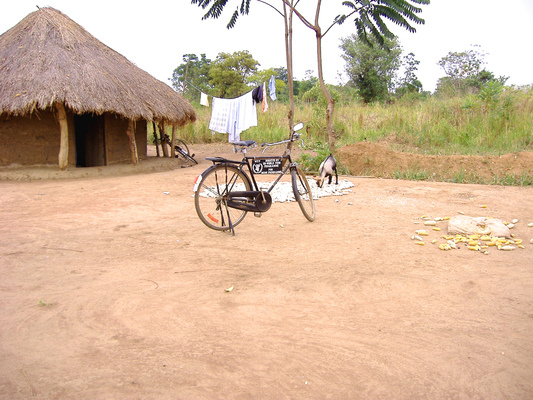 Situated 24 kilometres from Soroti town, Ojama village has a population of approximately 8,000. 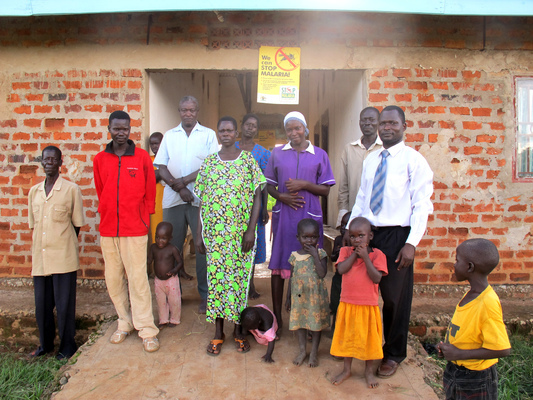 Like so many villages in Uganda, it has suffered an acute lack of healthcare. Health services we take for granted are not available within the public sector – ultra-sound or some X-rays can be accessed only in private medical clinics which are out of financial reach for most patients. An ECG for example costs 50,000/- UG (approximately 60 UK pence) - but for most people in Ojama that is all they earn in a day. Soroti Regional Hospital often has no blood supplies. A transfusion not uncommonly entails traveling to the hospital in Mbale, 98 kms away. Nationally there is one health worker to every 2000 people. Until 2014, there were no qualified doctors in Ojama. 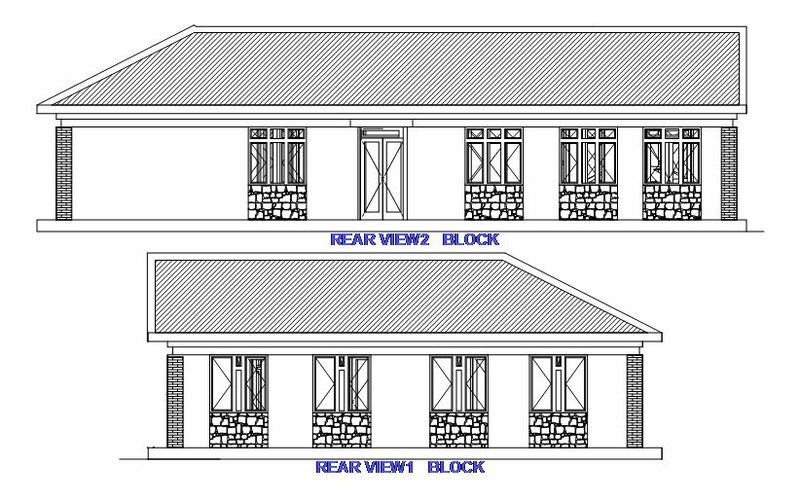 Since 2010, health care in the village has improved with the construction of a registered medical clinic. 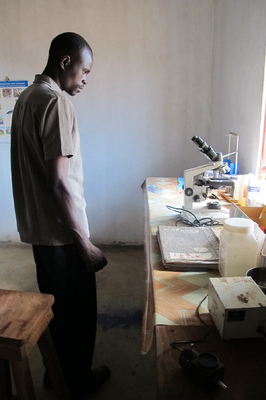 Denis Omiat graduated as a doctor in November 2013 and returns to the village on completion of his internship. For the first time, local people will have access to fundamental healthcare. 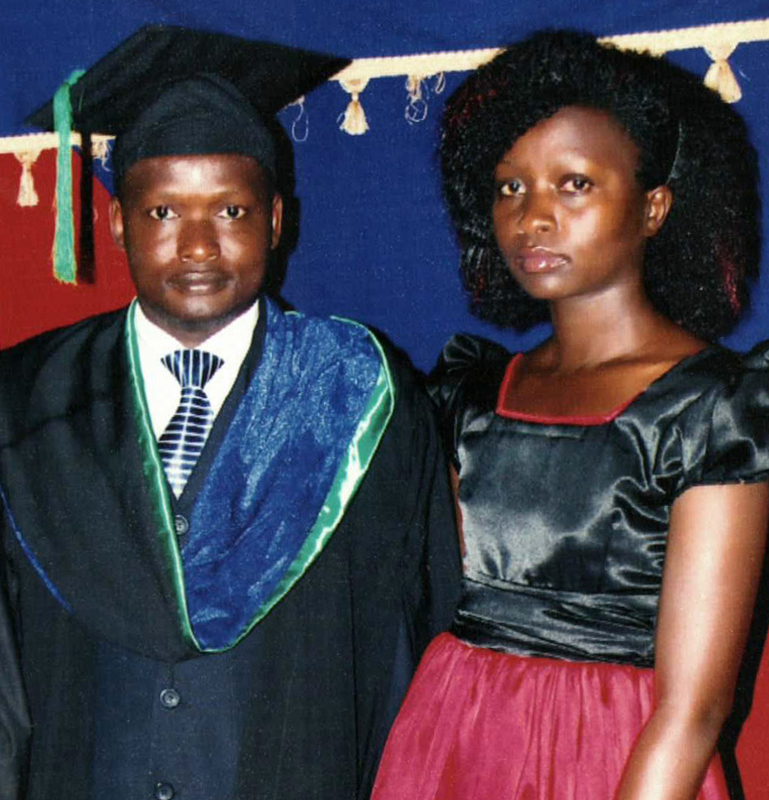 Above: Dr Denis at his graduation, pictured with his wife Catherine, a clinical officer. In February 2014, Dr Denis purchased a portable ultrasound scanner for use in the clinic. It will greatly enhance antenatal care of women. Denis afforded the scanner through saving 50% of his meagre government salary as an intern doctor, and was assisted by a grant of £1,300 from the Trust, subscribed by a number of generous donors in the UK and Australia. Such donations and equipment can make an enormous difference to the lives of poor Ugandans in remote areas. Maternal mortality in the whole of Uganda stands at 200 / 100,000 women. This high figure is due to poor antenatal care and lack of awareness about the importance of delivery in hospital. Additionally, women are expected to perform all their normal chores including digging and planting of crops while pregnant. There is a high incidence of pre-eclampsia, while pre and post-partum haemorrhage is common. 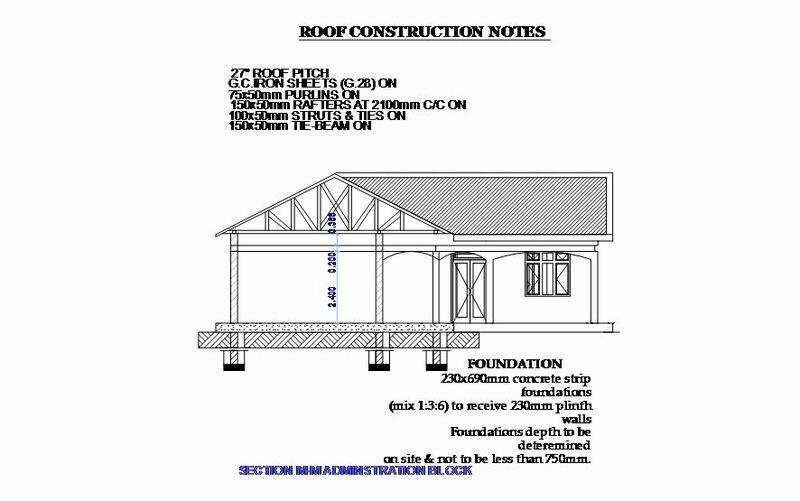 Denis has drawn up plans for a 12-bed maternity ward, the approximate cost of which (including construction and full equipment) is £15,000 / 20,000. Catherine Anyodi, Denis’ wife, is a clinical officer working at the health facility in Serere and providing skills and time to the Ojama clinic as needed. She has a diploma in medical imaging and is to start a degree in Ultrasound in October 2014. She has specialized in antenatal HIV care and will contribute greatly to the Ojama clinic in the future. 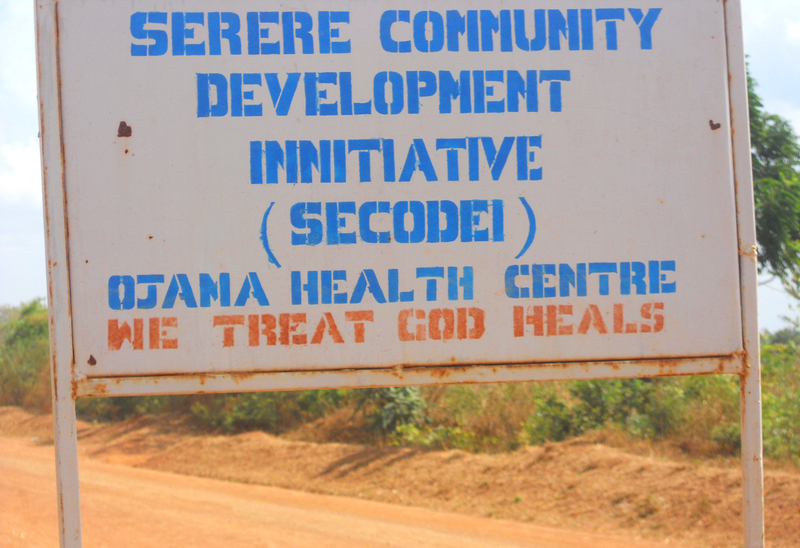 While HIV is an issue in Ojama, public campaigns and constant education provided by Catherine in the Serere clinic have resulted in most mothers “declaring” their status and accessing anti-retroviral medication. The new rate of infection is stable although every week the clinic shows up one or two new cases. 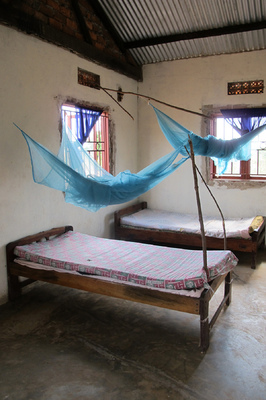 Sexually transmitted disease is very common, especially among women who are infected by their male husband/partners who, on the whole, are reluctant to attend the existing health centre in Serere. An ongoing public community education program is high on the agenda of work done from the Ojama clinic. Denis told Lois Pollock that in children, the major problems include malaria, diarrhoea, vomiting and anaemia. Poor hygiene results in cholera and worm infestation and pneumonia is common as a cause of admission to hospital. Many of the diseases prevalent in the community are a result of ignorance caused through poverty. A major focus of the Ojama clinic will be the development of outreach programs to combat this. For more information about Dr Denis Omiat - click HERE. You can read about Catherine - click HERE.